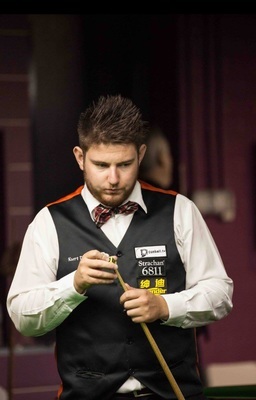 A PASSION handed down from his father will have Kurt Dunham travelling the world as a professional snooker player. Kurt, from Lynbrook, has been lining up shots under the watchful eye of his old man, Rod Dunham, since he was eight years old. “Dad has played in national championships for Victoria and Tasmania – he’s been like my coach,” Kurt said. Kurt was handed a two year tour card after winning the 2016 Oceania Snooker Championship in Sydney and will leave for Cambridge, England to start his professional career in May. The 24-year-old will be one of 128 snooker professionals in the world. In the lead-up to his first tournament in late May, Kurt will be practicing five to six hours a day. “I might look at getting a coach once I’m over there – I’m most excited about the atmosphere and the professionalism, they have purpose-built stadiums and live audiences of a couple thousand,” he said.